VIK IS LOOKING FOR HER FOREVER HOME This very attractive dog is Vik. She is a female Labrador cross, about a year and a half old, and she has the most unusual colouring. She has come into the care of the KWWSPCA from the Kildare Dog Pound and is looking for her forever home. She is very bouncy, and therefore will benefit from some training however she walks quite well on her lead. She will need to go to a home where there is someone who would be willing to give her this training and also give her lots of exercise. 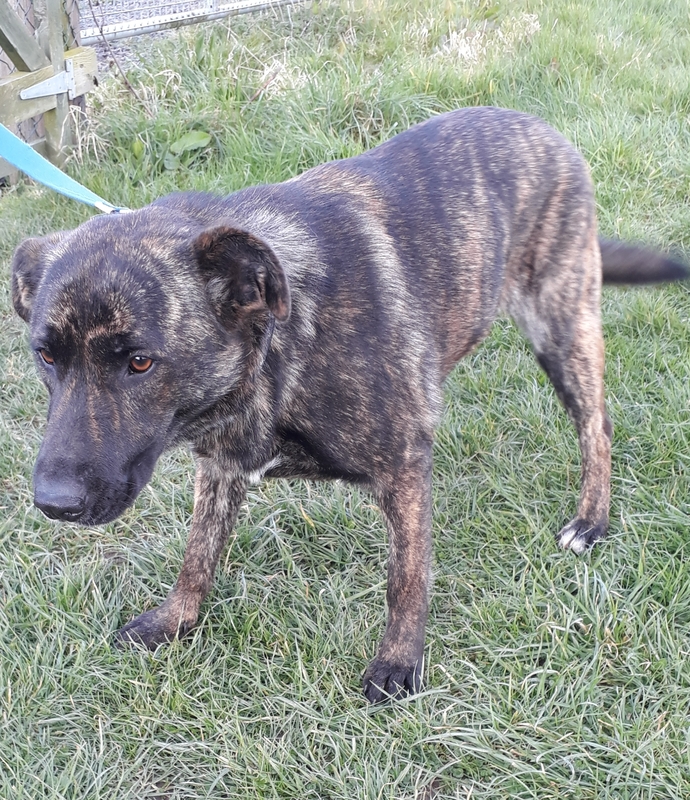 She would not be suitable for a home with small children as she is a little too enthusiastic, and she will probably do best in a home where she is the only dog. She has been neutered, microchipped and vaccinated and can be visited at the KWWSPCA Shelter which is open from 1.00 – 3.00 Mondays to Saturdays. Or call/text 087 1279835 or email kwwspca@gmail.com for more information about her.